I’m very excited to announce that I’m partnering with Omaha Storm Chasers this year! If you haven’t been to a game, this is the year to plan a family outing. 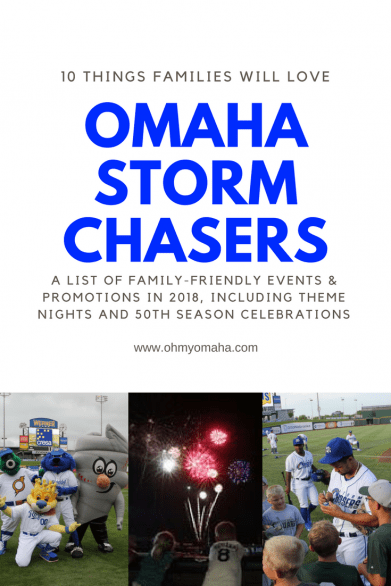 The Storm Chasers are celebrating their 50th season, and they have a ton planned that appeals to families. 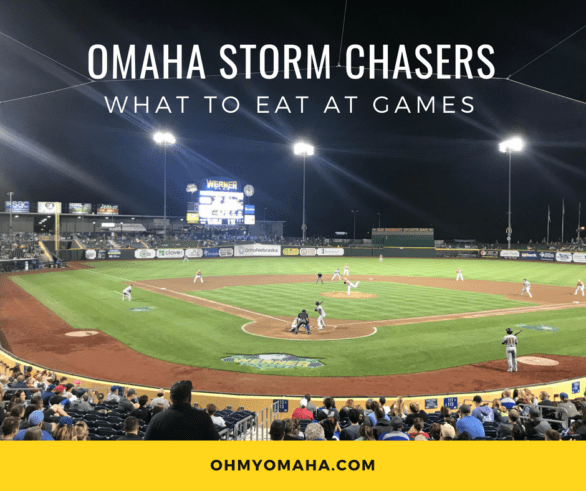 A ballgame at Werner Park is always a family-friendly experience – I’ve written about taking kids to a Storm Chasers game before. But this year, they’ve added some extras for the big anniversary. I’ve combed though all of their promotions to share my favorite things about the season. From music to flashback jerseys, the Storm Chasers will celebrate a decade each month of the season. Check the calendar for nights where there are bobble head giveaways connected to each decade, Flashback Fridays, and beer specials by the decade. The big game falls on July 20, a Friday night. 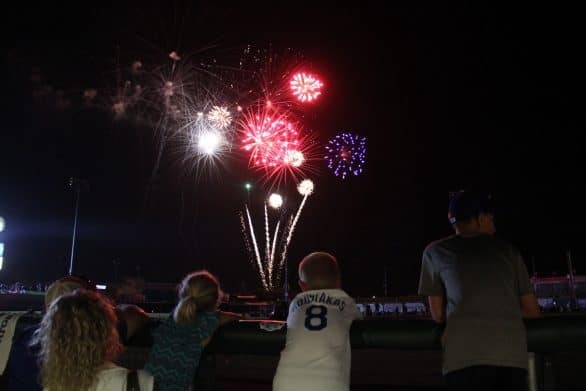 So, in addition to the 1985 Royals Flashback Jersey, fans get to enjoy Friday Fireworks. These are an annual favorite, and if you have Star Wars or princess fans in your house, there’s a good chance you’ve gone to one of these games. 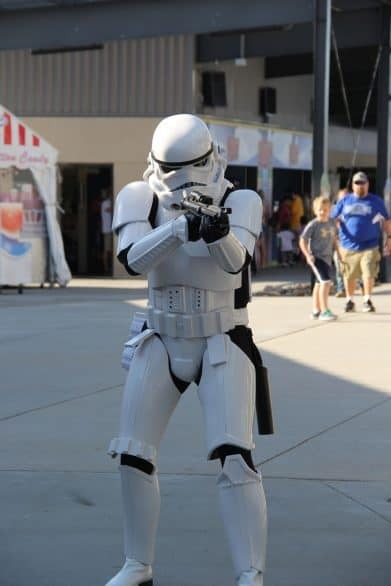 The theme nights that stand out to me include Star Wars Night on May 4 (get it? May the Fourth be with you. ), Superhero Night on June 30, and Daddy-Daughter Night on July 13 (rescheduled to Aug. 4). Tip: There are fireworks following the games on Star Wars Night and Daddy-Daughter Night. In addition to five flashback jerseys that tie into the jerseys I just mentioned, there are other designs you’ll see throughout the season. Many will be auctioned off to benefit charities. Star Wars fan? Go to the May 4th (get it?) game to see the Star Wars X-Wing Pilot Jersey presented by ParentSavvy.com. It’s going to be auctioned off. There are 10 special jerseys worn this season, and I think I have my eye on the look out for the Omaha Runzas Jersey presented by…guess. It’s presented by Runza, and you’ll see it on the diamond and then auction off on June 9. All season long, if the home game falls on a Friday night, there will be fireworks following the game. There are 11 Friday nights in the schedule, and the first one is April 6. Of course, they aren’t limiting the fireworks to just Friday nights this year. The super popular Independence Day games end with fireworks (those two nights are on July 2 and 3). There are also fireworks following the game on Sunday, May 27, and Saturday, July 21. If your kids are of the four-legged variety, take note of these dates: April 18, June 6, Aug. 1, Aug. 15 and Aug. 29. You can bring your dog to the game and sit on the berm on Bark in the Park games (just be sure to pre-register). Tip: Bark at the Park nights happen to coincide with Weiner Wednesdays…so cheap dinners for all! Full-sized hot dogs are 25 cents each at Wednesday evening home games. 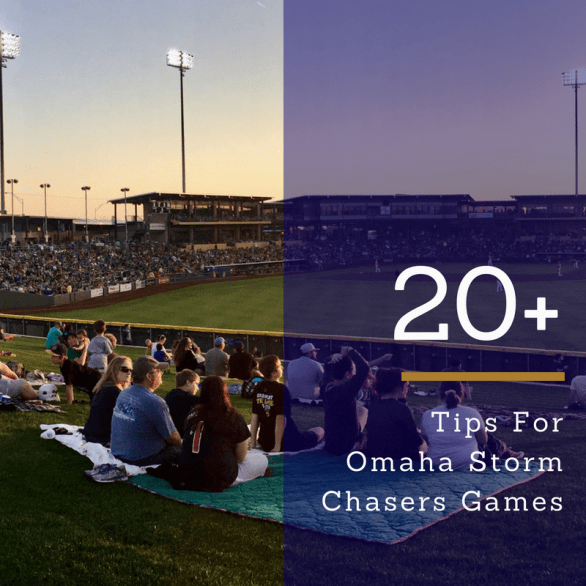 Attending the Storm Chasers game as a family was included in my list of 25 things to do under $25 in Omaha. Prices are low to begin with but you can save even more money on game day with the First 50 Kids promotion. 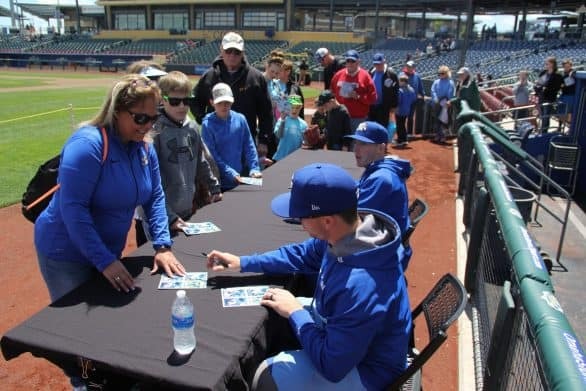 The first 50 kids (10 years and under) to arrive at the Werner Park Ticket Office on day of game are able to purchase McDonald’s Berm tickets for just $1, all season-long, regardless of game promotion. The berm is that grassy seating area. Details here. If your kid is too young to stay up late for evening games, the Sunday afternoon home games should be on your radar. Known as Family FunDays, there are some great opportunities for kids to be out on the field. Check the schedule for the dates the can run the bases or play catch on the field. Family FunDays also always have clowns and balloon artists. If you’re a regular at Storm Chaser games, and you have kids, chances are, you’ve been to the Centris Family Fun Zone. 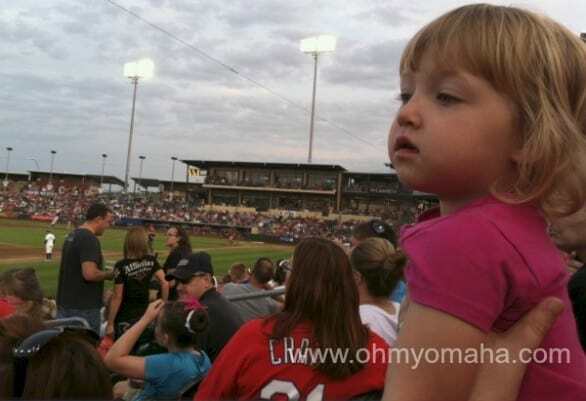 This was definitely my kids’ favorite part of Werner Park in their young days – I’m curious to see if it still is when we go this season. You don’t get to watch much baseball from there, though. 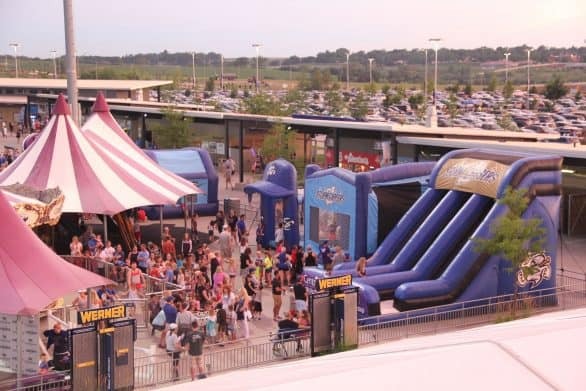 The Family Fun Zone is a large area behind left field with inflatables, jungle gym, and a carousel. It does cost $6 for kids ages 3+ to enter if you don’t have a Centris ATM, Visa Credit or Debit card. There’s also a combo pass option for $7, which includes playing in the fun zone and miniature golf for $7. See the full calendar of promotions here. Since this list is limited to just 10 things you’ll love, I couldn’t fit in all the concerts, giveaways, and more planned. And before I end this, here’s my money-saving tip: If you want FREE parking, drive past all the signs for the paid lots until you reach the dirt lot on the north side of the stadium (take it with a grain of salt that it’s still free since I haven’t been to a game in years). Season starts March 26 with an expo game against the Kansas City Royals. First home game of the season is April 5 (Thirsty Thursday, y’all). See the full schedule or purchase tickets. 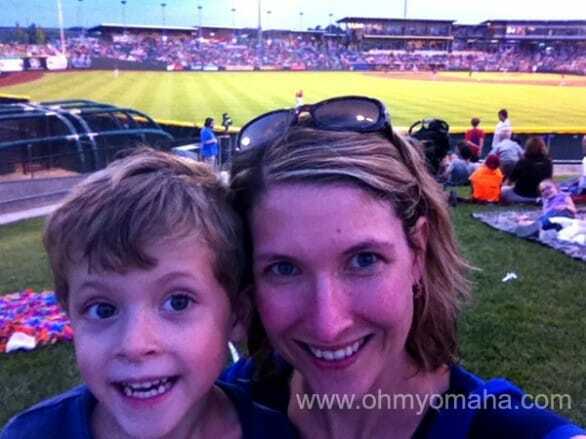 You go to one Omaha Storm Chasers game and suddenly your children ask nightly to go to a baseball game. The Storm Chasers must be doing something right. Farley and I pausing for a quick Storm Chasers selfie at Werner Park. If you haven’t taken your children to a baseball game, I’d recommend trying it out once. Even if you don’t like baseball. If you bring small children, you won’t be watching much of the game, anyway… but they’ll have a blast. 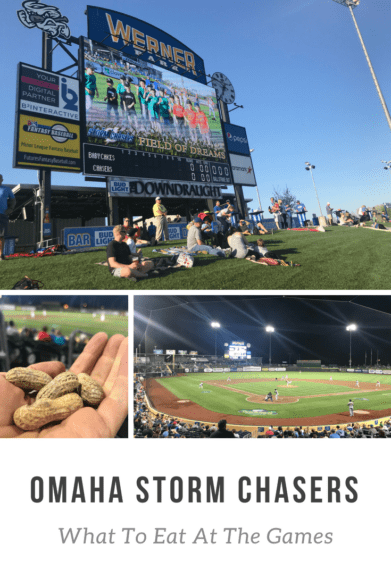 Here are 10 things families are going to like about the 2018 Omaha Storm Chasers’ season! The kids play zone – I’m just going to assume your kids are going to spot this play area and drag you over there. You may never make it to your seats if you go here first. There is a $6 admission fee for each child over the age of 3. You’ll find a few bounce houses, a playground, a carousel, and a ball pitching inflatable. It was Ag Night when we went, so there was also a little area set aside for kids to practice roping skills. 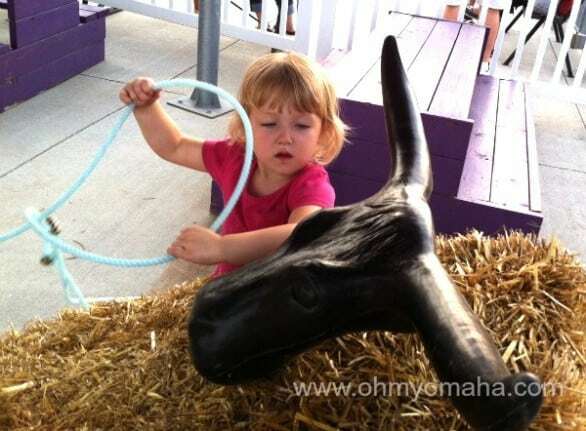 My daughter roping a steer during Ag Night at a Storm Chasers game. Food – It’s a ballpark so you know what to expect. A lot of nights, they offer specials. When we went, it was 25-cent Weiner Wednesday (including a tofu dog). My personal favorite is Thirsty Thursday, with $1 beers and soda. If you’re on a diet, you’re really out of luck. There is a food stand over by section 123 that had a salad shaker, as well as a few vegetarian-friendly offerings (not low-cal or low-fat, though). Seating – The cheapest seating is Berm seating, which is the grassy area behind the outfield. You’ll want to bring blankets for that area. Werner Park is a perfect size for AAA baseball and I can’t really tell you where you wouldn’t want to sit. Most seats are going to be good ones. The view from our seats at Werner Park, which we occupied for about 35 seconds that night. Other activities – If you make it past the kids zone yet your child still doesn’t want to sit down, there is plenty to explore. Most of the action is by the Berm area. There’s a basketball court and wiffle ball field, as well as a fooseball and mini pool table in the Downdraught Bar area near the Berm. 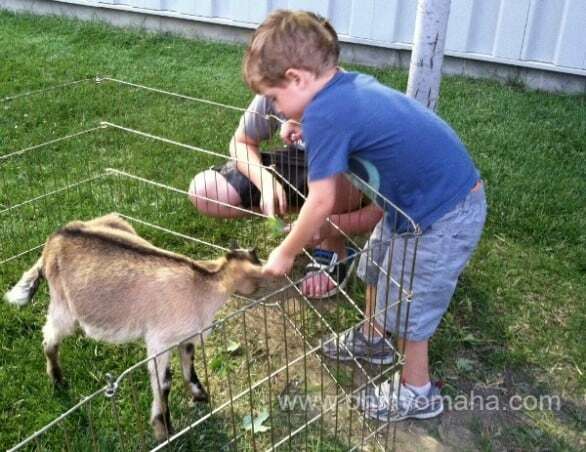 On the night we went, there was also a petting zoo set up near the wiffle ball field. There was a petting zoo at the baseball stadium the night we attended a game. It was crowded with kids, but even my preschooler could get up close to all of the animals. 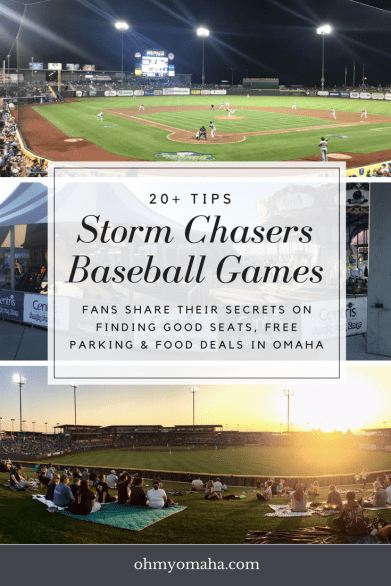 The Storm Chasers staff does a good job of keeping excitement going throughout the game, holding fan contests or mascot games on the field, showing fun videos, and launching T-shirts and whatnot at the stands. The sponsor giveaways were curious (on our night, one lucky section won a free colonoscopy). Check the promotion schedule for discounts on specific days. On Sundays, you can get a discount for bringing canned food, for instance. If you’re already planning on sitting on the Berm, get there early. The first 50 kids (10 and younger) can get a $1 Berm ticket each game. If it’s your first time at the stadium, you’ll see signs to pay for parking. If you want FREE parking, keep driving until you reach the dirt lot on the north side of the stadium. Friday night games always end with fireworks. Sunday afternoon games are always US Bank Family FUNdays, with FREE attractions like clowns, balloon artists, face painting, a petting zoo and a chance to run the bases after the game. Congrats! You found the Oh My! 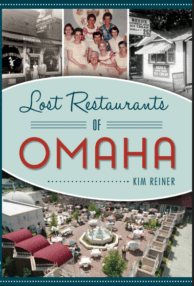 Omaha fifth anniversary giveaway! Win FOUR (4) tickets to the April 21, 2018 Omaha Storm Chasers home game versus Nashville Sounds. 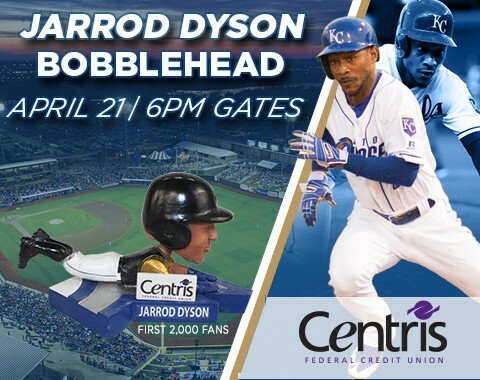 This game is particularly great because they’re giving away Jarrod Dyson bobblehads to the first 2,000 fans. It’s the first in the set of five O-Bolt Bobbleheads presented by Centris Federal Credit Union. It also happens to be a Bands & Brews game, so starting at 6 p.m., there will be drink specials and live music at the Bud Light Downdraught Bar. It’s FREE to enter using the Rafflecopter form below. The giveaway ends Tuesday, April 17, at 11:59 p.m. CST. Winner will be contacted via email and, due to the quick turnaround, will have 24 hours to respond to the email before another winner is drawn. Winner must be 18 or older. Tickets may not be exchanged for a different game. Good luck! Bonus giveaway! 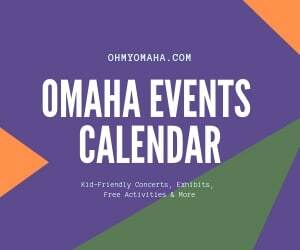 If you belong to the Facebook Group, Fun Things To Do In Omaha & Beyond, you can enter the giveaway there for four tickets to the April 21, 2018 game. That giveaway ends Tuesday morning.